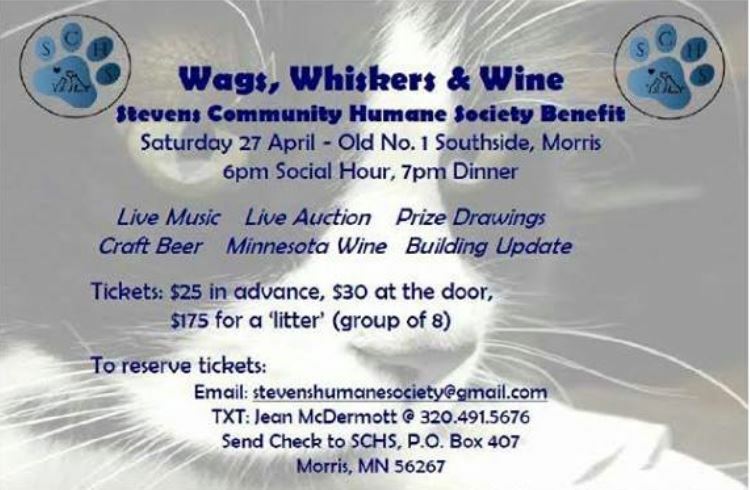 Join us for our spring fundraiser to benefit the Stevens Community Humane Society on Saturday, April 27th. Social Hour begins at 6pm and dinner at 7pm. Old #1 Southside in Morris. 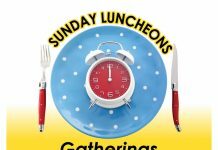 There will be a served meal, live music, a live auction and more. Tickets are $25 in advance or $175 for a litter of 8. The litters will include special decorations and perks! 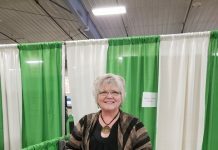 Reservations preferred, but tickets will be sold at the door for $30 as well. 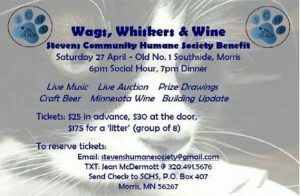 Reserve your tickets by emailing stevenshumanesociety@gmail.com or by sending a check to SCHS, P.O. Box 407, Morris, MN 56267. Wags, Whiskers, and Wine benefit this Saturday for the Stevens Community Humane Society.